Your heart begins beating faster and sweat begins forming on your forehead – the FDA is calling. Many things can trigger an FDA inspection – most falling into routine study-related visits, while some are “for cause,” stemming from complaints or sponsor concerns. Sites that have a new drug application will most likely experience an FDA inspection. 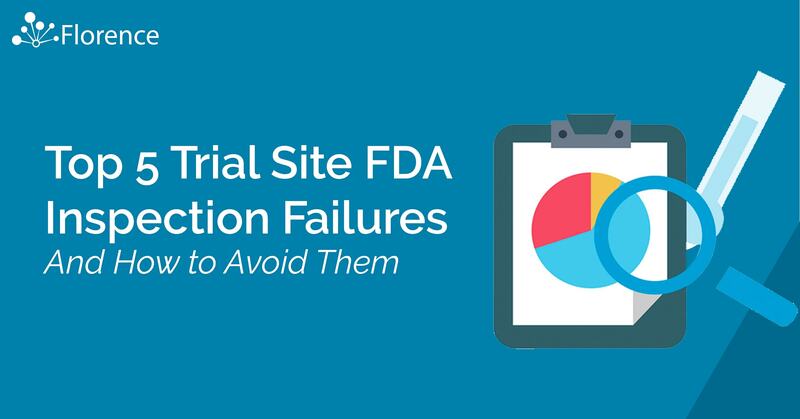 While they are nothing to fear, especially if you are appropriately following study protocols up to FDA standards, it is important to have a strong understanding of where common failures occur and the best practices for avoiding them. 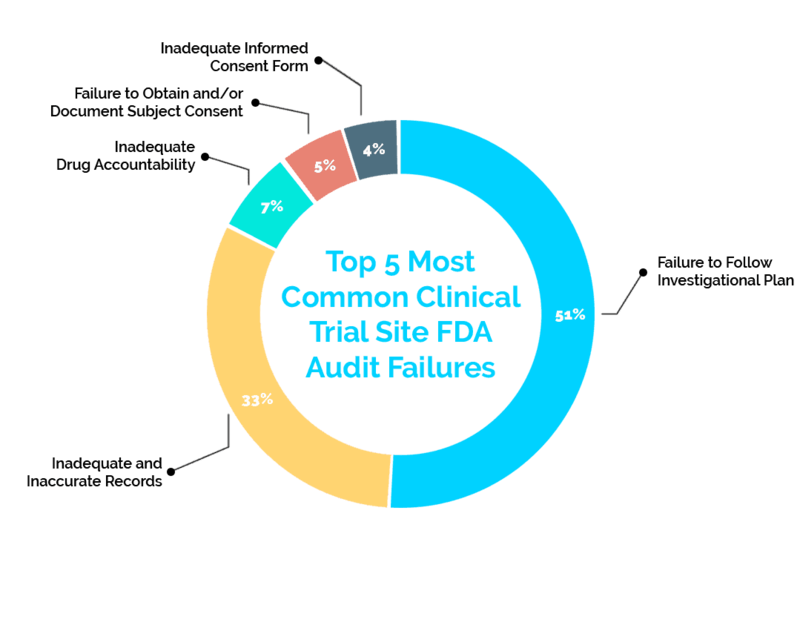 Over the past five years, the FDA has reported a failure rate of 36% in clinical trial site inspections. Below are the top five reported failures the FDA has found in these inspections and solutions to reduce your risk. This failure is marked by the code 21 CFR 312.60. It makes up the vast majority of failures at a total of 51% of the failure data from the past five years. These failures include missing consent documents, failure to perform protocol-required procedures, and/or missing documentation of required IRB review of study changes. While part of the investigational plan, this 21 CFR 312.62 failure focuses specifically on record keeping – making up 33% of failures. An example of this failure is a missing or incomplete subject record. This 21 CFR 312.62 problem is the fourth most common at 5%, but it deals with the very important clinical trial aspect of subject consent. Obtaining subject consent is extremely important for a multitude of reasons, and keeping consent documentation readily available can help avoid this failure. An example of this aspect of 21 CFR 312.62 is missing consent documents or omission of a description of required elements when obtaining consent. Making up the last 4% of recent failures, this 21 CFR 50.25 failure proves that consent-related documentation causes frequent audit failures. We have discussed consent-related failures, but this failure deals more specifically with communication about withdrawal and refusal to participate. Examples include missing documentation showing subject receival of information about their right to refuse to participate in any aspect of the study and missing documentation that shows that subjects were informed of their right to withdraw without penalty. 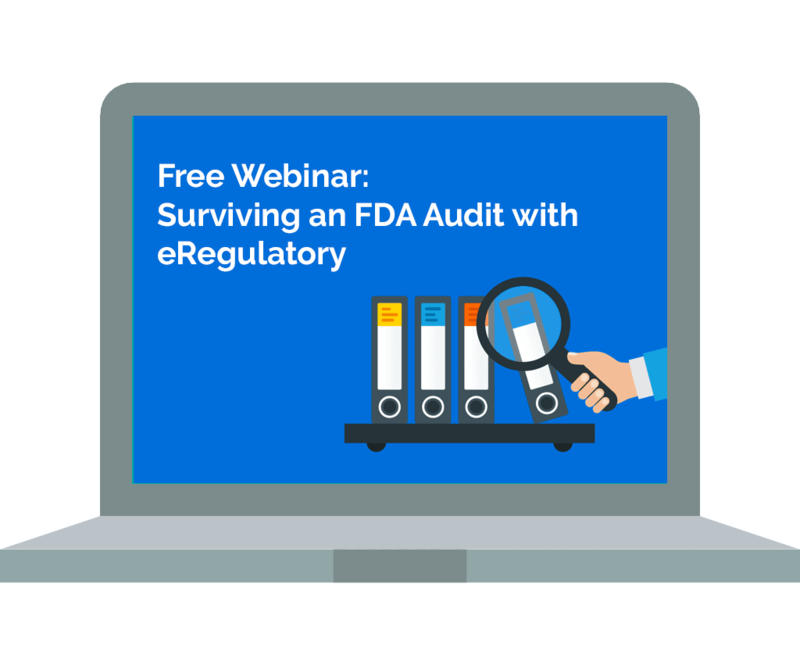 A purpose-built eRegulatory and eSource solution can help significantly in surviving an FDA inspection – while also delivering a wealth of additional benefits for time-saving, capacity building, and accelerating trials. The best plan to ensure Inspection Ready status is to make a strategic transition to digital today, before your next inspection. Why? Digital solutions reveal the unknown, making it easy to identify risks and proactively correct them. Since most sponsors are requesting digital documents, digital solutions keep your site out of a treacherous half-paper, half-digital state where disorganization can occur. Detailed 21 CFR Part 11 audit trails help you demonstrate to auditors and monitors the GCP steps you know your site is already taking. Ensures compliance leveraging a single source of truth across all your studies. Click here to read our tips for ensuring your eRegulatory and eSource are “Inspection Ready”.